Tucano Urbano's Termoscud leg cover system is a must have for any scooter rider. It's like a warm coccoon when temperatures drop and it keeps you dry when the rain catches you out. There's only one downside: it can get a little hot when temperatures rise! We completely understand that once you have installed your leg cover, you won't want to take it off everytime the sun comes out. 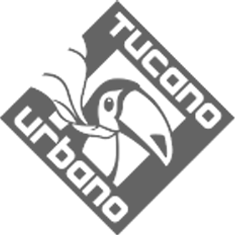 So Tucano Urbano have devised the Termoscud Pro: a leg cover system optimised to be used throughout the year, in all 4 seasons. You can leave the Termoscud Pro installed on your bike during summer: just remove the Thermal part covering your legs and leave the rigid spoiler fixed to the bodywork. Summer doesn't necessarily mean dry weather, so there's a rain cover/seat cover installed in the spoiler to keep you and your bike dry when rain starts falling. Clever stuff!